A number of our DIYers do have an own setup or are in the process of building it. I proposed this ad-hoc method to have a way to create a very good testing vacuum without any expensive vacuum pumps. This method does not really have anything to do with Mr. Shawyer's or anyone else's device. I'm just going by the principle that what's not there cannot influence the measurements. Why compensate for something, if there is a way to get rid of that something altogether? What plagues EM-drive research is really having to account for a number of annoying effects that hide the mostly miniscule effects. And I still find it worrysome that almost no experiments were performed under vacuum conditions. BTW, if Mr. Shawyer's device is as powerful as you state, I think we would all appreciate a public demonstration with multi-Newton performance anytime soon. As far as I can see, it's just talk talk talk about how wonderful Mr. Shawyer's device is. It's PowerPoint level credibility. That's why I esteem our DIYers so highly on this forum - they actually show their stuff. Quite the opposite of PowerPoint level 'discussions'. I only post what Roger has publicly shared. Beside the data SPR has shared, there is more data as attached. Maybe email Prof Yang or Dr. White or Dr. Tamar and ask them to help the DIYers. So far I see 2 EMDrive builder professionals helping the DIY community and one is now under the "Cone Of Silence". Do you wish our last source of real build information to "go black" as well? Roger runs SPR which is in business to sell licenses and consulting services in regard to the IP they developed. It could be easy for the SPR board & shareholders to order a "Cone of Silence" for Roger as well. What Roger has provided is a trail of bread crumbs to enable DIY builders to engage the thinking process as they work to recreate the recipe Roger abd SPR has developed. Recipes can be tricky and finicky stuff, with the end result requiring following the recipe, using the indicated ingrediances, blending they as required and maybe varied baking methods. The skill of the chef and kitchen staff also factor highly into the process. So far a few of us have baked crude but successful EMDrive cakes. As our build skill levels grow and our appreciation of the kitchen tools required and complexity of the recipe and bake process developers, I have no doubt we will see the Force levels measured by SPR and others. Bottom line is Roger is under no obligation to share his IP for free. That he has chosen to share a few bread crumbs says heaps about his desire to see others start and engage the journey he has taken. Use of heatpipe integrated in balance arms to get reduced temperature and more symmetric convection effects. A few pages back the conversation bounced around Dark Matter. Dark Matter and Dark Energy are invented to explain the facts that various astronomical bodies have the wrong velocity and/or acceleration. So far they are completely undetectable. In the spirit of Occam's Razor, I would suggest that a nicely parsimonious 'explanation' for these phenomena would simply be that Momentum is not conserved in the way we expect under certain circumstances, and that the undetectable stuff really isn't there. I don't think I've seen this idea put like this before, and obviously occurs here because thoughts of breaking CoM are central to the EM Drive discussion. Of course, 'explanation' is in quotes because the immediate step is to start figuring out exactly where momentum might not be conserved. But it makes a change from looking for 'floobie dust'. Very nice hypothesis! It had not occured to me that CoM and Dark Matter could be intertwined in an unusual way. You're right, Dark Matter is a mathematical hypothesis with as much evidence as ghosts (happy halloween). CoM and CoE are fundamental tenants of classical physics, formatted long before the first radio transmission was made. I do believe CoM/CoE is a valid concept, but something else is at play here. What it is, I don't know. Thoughts??? I'm considering on putting a top cap to deflect hot air 900 away from the frustum. The beryllium gasket seal between the ceramic top plate and tuning chamber will leak hot air. The study of the sensitivity of the formula to its parameters can help to chose a design which reduces the velocity of the convective flow. I just love The Engineeringtoolbox.com. It's one of the top links on my computer. Remember when your desk and a close wall was covered in reference materials? 1. Would be a pain to do. 4. Give me maybe 30-60 seconds of run time with out thermal convection issues as the copper absorbed the heat from the frustum. 5. Wrap the frustum in copper shavings creating a 2-3 inch layer all around and over the top add a reflective insulating lightweight blanket. Now I have extended run times. Would love to have input on these ideas. If µN forces are being measured, a UHV environment is required. That means no porous materials (3d printed metal is bad). That having been said, the NIST Antoine parameters for CO2 vapor pressure suggest that under ideal conditions, one could reach 0.17 µTorr by freezing CO2. However, commercially available CO2 contains nitrogen and other trace impurities. These aren't problems in the lab most of the time because 99.999% pure gas is just fine for most applications. That 0.001% N2, H2, etc. will limit the vacuum obtainable from freezing CO2 to about 7.9 mT. If one were to fill a chamber with grade 5 CO2, pump it down to 100 mT with a standard oil pump, and then froze the CO2 with a 78K N2 trap, one would then obtain a 1.2 µTorr pressure under otherwise ideal circumstances. An elaborate chamber with coolant channels is not required. All that would be likely required would be a big dip trap in the bottom, constantly submerged in liquid nitrogen to act as a "getter" for trace CO2. Still, I don't think it would work because a key assumption is that there is no source of additional gas in the chamber. Inevitably, small leaks in gaskets and other seals combined with outgassing of volatiles such as nitrogen from anything inside the chamber will degrade the vacuum over time, and it may take days for the CO2 to completely freeze in the trap. Not to mention that filling a chamber with stray microwaves and IR radiation will heat up the frozen gas in the trap and degrade the vacuum. Bottom line: Not a bad idea on the surface, but probably impractical. A turbopump or oil diffusion pump is going to be the least expensive part of a proper UHV chamber, so if anyone plans to get some serious measurements of small forces the traditional route is the way to go. All metal apparatus, µTorr vacuum via rough pump/oil diffusion pump, hot cathode ion gauge to properly measure actual vacuum, thermal bakeout prior to experimental runs. It seems NASA uses a realistically small vacuum chamber of about 2m in length, 1m in radius. That's got to be commercially available. 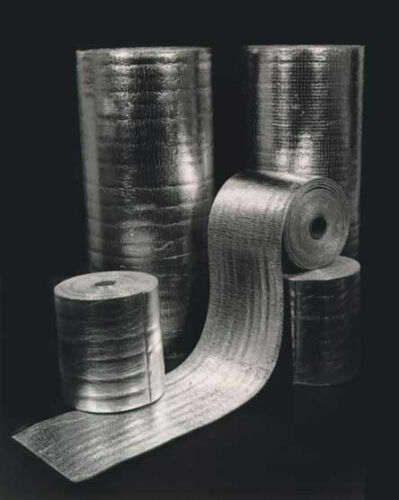 IR reflective duct tape might work, too - high temp env specs (so it can work in adverse HVAC environments). Used in a radiant heating project. Might be easier to work with than bubble-wrap IR insulation - which certainly doesn't seem like it would take high contact heat all that well - I understand the IR reflective bubble wrap is a great heat transfer system with contact. Yes it can be if the metalized side touches the frustum copper walls. This morning I'm waiting for the lab to heat up. Found my chicken wire to make a cage for around the frustum (trying to keep it from touching the frustum and cover it with foil double bubble wrap (I'm scheduled for delivery today of the double bubble foil insulating wrap I ordered to put on the walls of the shop). So, I'm going to make a cavity, wrap it up, put in a light bulb inside instead of the frustum and monitor the heat. If I get it all done today I'll post the results. But they may contain oils and cutting fluids. A pound of shavings is a lot and according to the website I listed "These copper strands/ shreds/ shavings are oil-free, dry, clean, light, bright, and shiny. " Today I'm going to bond the sections of the cavity together using PC7 epoxy. This stuff is great, used it on a crack in the bottom of the hot tub. I had tried to fix this crack (cracks are bad for hot tubs) using about everything else I could find and nothing worked. PC7 sealed it up and is a hard as a rock and has lasted for over a year. Also going to work on the chicken wire cage for the frustum to contain the thermal heating effect. It is also appropriate to be concerned about reproducibility of the heat compensation system so that other Citizen Scientists can follow in your footsteps. 1) Minimize system heating in the design and attempt to remove residual heat effects, post processing. 2) Capture the heat that is not removed by design, and attempt to remove residual effects post processing. So no matter what approach is used, residual effects will be removed by post processing. a) How expensive is it to make a second, near identical frustum? b) How hard is it to make and mount the second frustum safely on the test stand? c) How difficult will it be to take meaningful data with two 2 EM Drive effect sources? But the $64 question is, "How difficult would it be for others to accurately duplicate this system and use the same post processing techniques developed by predecessor DYI'ers?" It is important to step back out of the weeds for a moment and look at the overall objective. It is not simply to make a device for the fun of it and see if there is an effect. IMO, the objective of the efforts pulled together on this forum is to determine if there is in fact a REPRODUCIBLE EM Drive effect and then try to explain it. So using a reproducible system is crucial to that objective. If the air leakage is allowed to escape the frustum to the room, you reduce net internal buoyancy, but you create thrust from the escaping air, and in your design it will be directional out of the small end, reducing any EM thrust created. If you cap the tuning chamber itself, during testing the air displacement from inside the frustum to the tuning chamber may occur. But if that air displacement cannot escape the tuning chamber any net internal buoyancy created from air heating should remain constant within the overall device. But you still will get some thrust, until the pressure within the tuning chamber pressure equals the exiting pressure from the frustum. Maybe a possible answer would be slightly pressurizing the tuning chamber over the ambient pressure prior to testing. That might also help stabilize the ceramic plate when tuning to reduce micro-vibrations that might occur from escaping gas. Thanks for responding to the issue. Why? 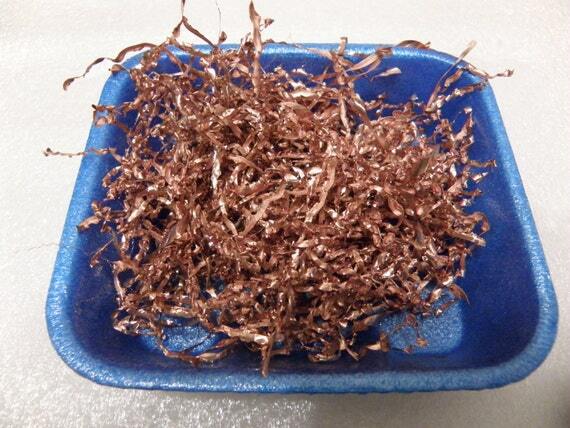 Mulletron quoted about $50 for a bare copper frustum. Based on past experience I estimate that having one-off made by a professional spinner would cost about your "several hundred $$," but the second and any subsequent ones would be only somewhat more costly than the materials. Time spent is a trade between this and other heat compensating methods. That is an option but wouldn't it also be workable to distribute the RF signal from a single magnetron to both frustums? That eliminates a lot of hassle and cost. No matter what one does, post processing of the data will not go away. Our whole effort at reducing thermal effects is not simply to have reduced thermal effects, but rather to have a higher signal to noise ratio. Common mode error correction is a proven technique to drive noise down, and does in certain cases (electronics), totally eliminate or reduce the noise to undetectable levels. It works well in non-electrical systems, too. Your are very correct in there are three sources of thermal excluding the wires feeding the frustum. IF I do this correctly by encapsulation of the device in the wire cage and thermal shield I should have only one profile that will directly effect the thermal thrust and that will be the buoyancy of the thermal encasement itself. That profile if done right and keeps the hot air in. It should not be as chaotic as the thermally rising currents and I can profile it to a greater degree of accuracy. I calculated I should after looses in the Maggie to waveguide to RG142 coax to the frustum about 100 watts RF power inside of the frustum, that gives me (napkin calculation) about .1 BTU/sec to work through.